What are the most significant attempts to stop the spread of nuclear weapons, and have they succeeded? How Do Countries Create Nuclear Weapons? 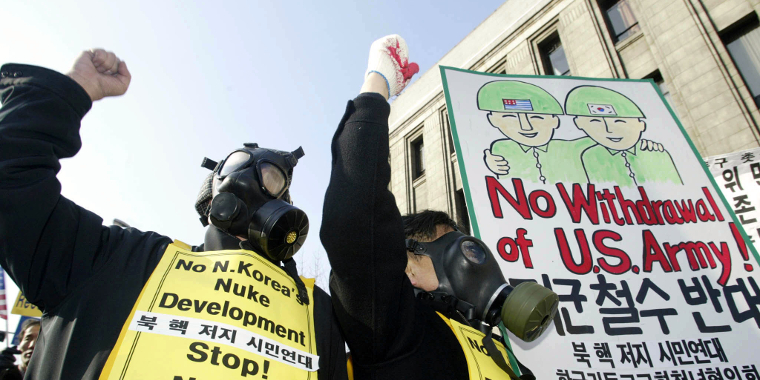 South Korean protesters in gas masks shout anti-North Korean slogans during a rally in Seoul on January 11, 2003, a day after North Korea withdrew from the Treaty on the Nonproliferation of Nuclear Weapons. Nuclear weapons pose an enormous threat to humanity. Since their very first use, different leaders and organizations have been trying to prevent proliferation to additional countries. Despite their efforts, more states than ever before have obtained nuclear weapons. This timeline explores some of the critical actions and decisions that led to today’s distribution of those weapons and the world’s non-proliferation regime.